Start Early. Tell me if this scenario sounds familiar: You stroll into the office around 7 a.m. and you’re immediately greeted by an employee with an urgent problem that takes you up until your 8:30 a.m. business meeting to resolve. From there, paperwork, more meetings, unexpected phone calls and other interruptions continue well past 5 p.m., leaving you too exhausted to work on that one thing you had hoped to get done that day — let alone going to the gym for a much-needed workout. Everyone has days like that, but as a business owner, it’s easy for this scenario to become your everyday reality, which over time can make your office feel like a prison and your employees the inmates. Over the years, I’ve learned that if I want more control over my day, I need to start early. For me that means getting up between 5:30 and 6 a.m., looking at my work calendar, reviewing my goals for the day, and then either heading to the gym for an hour of cross-fit training (three days a week) or heading straight to the office. Since making this commitment three years ago, I’ve found that not only am I in better physical shape than I was back then, I’m in better mental shape, too. I’ve also noticed that I’m spending more time with my wife and kids due to the fact that I’m spending less time in the evenings trying to play catch-up from my workday. Be Present. It’s no secret that smartphone owners love their devices, and I’m no exception to the rule. But, one day after receiving a good-natured ribbing from my kids telling me that if I could have my phone permanently implanted into my brain that I probably would, it got my attention. “Is this thing controlling my life?” I asked myself. As I became more mindful of my cell phone behavior, I realized that whether I was at dinner, sitting at my desk working, visiting clients or friends, or spending time with my family that I was constantly checking my phone. The final wakeup call (no pun intended) was during a conference call I was participating in, while trying to multitask on my smartphone — checking emails, responding to texts, and the like. During the conference call someone put me on the spot and asked, “MJ, what do you think about that?” I froze for what seemed like several minutes, and then I came clean and admitted that I had been distracted and asked them to repeat the question. I had always taken offense to other people who did that to me and now I had become that person. It was a humbling experience. Since then, I’ve made a conscious effort to be present when I’m with someone or participating in an activity that requires my attention. Believe it or not, I’ve actually found it helpful to use technology to help me get my technology addiction under control. With my Garmin Vivosmart band, I can quickly see if an incoming call/text is urgent or not and I can keep my smartphone out of sight, which greatly reduces its hypnotic powers. Email is another distraction that can become a “horrific distraction,” to quote Robin Robins. I’ve taken her advice, and now, on a regular basis I shut down my email for a couple of hours and focus on whatever it is that I need to get done during that period. It’s amazing how exercising a little control over these distractions can help you be more present and engaged with what’s really important. Although I’ve learned my share of business lessons the hard way, I can say with confidence that being involved in a few good peer groups and business associations has greatly reduced those incidents. CompTIA is one such organization that’s worth getting involved in. It surprises me how many resources they make available to their members — and it’s equally surprising how few members take advantage of all these resources. Whether you’re a salesperson, a manager, or a business owner, there’s a training, certification, or some kind of educational material or event that can help you grow personally and professionally. While getting more involved won’t eliminate all your mistakes, it is comforting to avoid a few mistakes by learning from other’s experiences and discovering that you don’t have to create a business best practices program —that’s already been done as well. MJ Shoer started Jenaly Technology Group in February of 1997. The vision for Jenaly grew from his collective experience with a variety of technology companies, focusing on sales automation, executive information management and electronics distribution, where he held both sales and technical management positions. 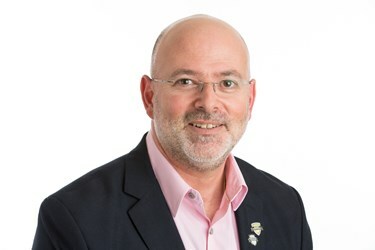 Shoer currently serves as chairman of CompTIA’s Board of Directors, and is on the advisory committees of both The ASCII Group and ConnectWise.